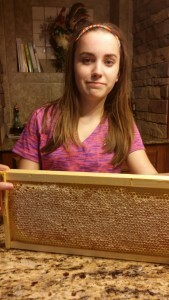 Top 10 Things About Beekeeping to Consider | Award-Winning Local Honey From OKC! 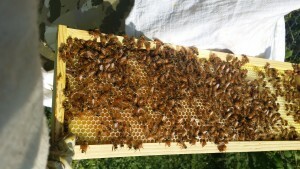 Are You Interested in Beekeeping? Here Are A Few Things to Consider! Check with the State Department of Agriculture in your state to find out what regulations exist for a beekeeper. All 50 states are very supportive of beekeeping, but there are certain rules and regulations around identifying your hives with your apiary name and contact information, and around sales of honey. Some cities or states may require you to register your hives, and others may not. Some cities may require you to obtain a permit, and others may not. It’s important to find out what these regulations are, though, BEFORE you get your bees and become an actual beekeeper. Do this while you’re still a beekeeper wannabe. 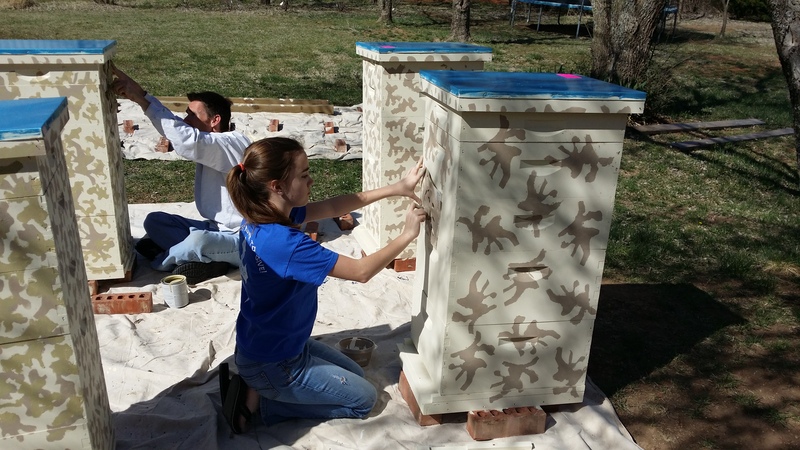 Some neighborhood homeowner associations may have restrictions around whether or not you can maintain hives on your property, or they may restrict how many hives you are allowed to maintain. If you have a small yard and your bees will be potentially flying into the neighbor’s yard frequently, especially if you have no fence separating your properties, you’ll want to discuss your interest in beekeeping prior to getting your bees. You might be surprised, they may welcome your bees with open arms if they’re a gardener or have an interest in helping save the bees. But, if your neighbor is dead set against your maintaining hives on your property, you might want to do some things that will limit their exposure to them. Consider moving the hives to the opposite side of the yard so they won’t be as close to their property line. You might also want to put a screen of some sort around the area where you will keep your bees if you don’t have a fence around the area. 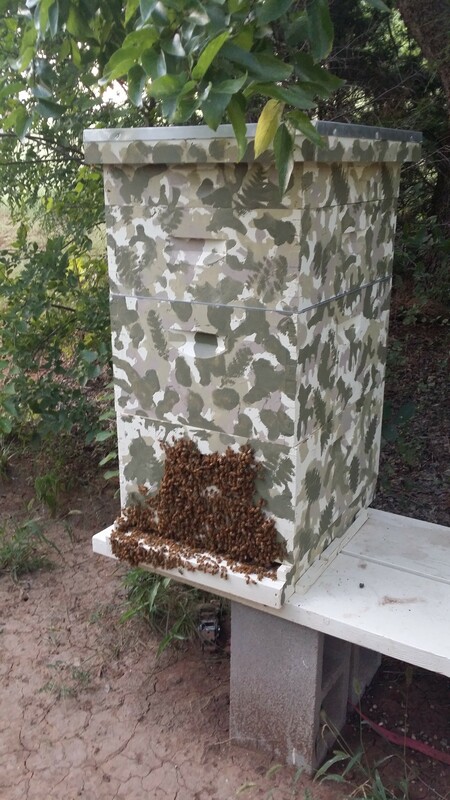 Personally, most of our hives are painted in a camouflage color so that they are not as noticeable from the road. I live out in the country on a small farm, so people driving by our property are more of a concern than the neighbors. My neighbors have all been very supportive of me becoming a beekeeper, and many are on my honey waiting list. If you think you might be allergic to bees due to previous bee sting reactions or reactions from other stinging insects, you might want to go get tested by an allergist to determine the level of your allergy before you become a beekeeper. If you are just mildly allergic to bee stings, you might do just fine with an Epi pen in your pocket when you’re working the hives. If you are severely allergic to bee stings, however, this is probably not the hobby for you. No matter how much you like honey! It is not a matter of IF, but WHEN you will get stung, no matter how careful you are as a beekeeper. And, it might be a family member that gets stung instead of you. Some beekeepers (and I am one of them), suit up in their bee suits every single time they go check on their hive – no exceptions. 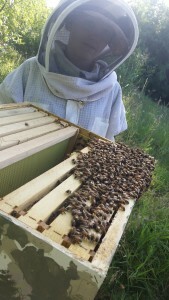 Other beekeepers will suit up with absolutely no protection whatsoever during hive inspections, and others will wear a veil and hat for face protection only. Every beekeeper is different and has different opinions about this subject. Sometimes, though, bees can find that ONE spot on your sleeve, sock, or zipper that wasn’t fully zipped, and they’ll nail you faster than you realize they’re getting mad. Because a worker bee’s life span is only 4 to 6 weeks, they never really have time to ‘get used to you’. New brood is constantly becoming part of the hive, so there is never going to be a time when all of them are ‘used to you’. During certain times of the year, my Italian bees are very docile and don’t get easily excited. At other times when nectar sources and water are getting scarce and the temperatures are soaring, they will nail you as soon as you walk or mow past their hive. I’ve only been stung a couple of times. The first time was right between my eyeballs in the Spring time when we still had our hives located right by my garden. They thought that garden was ‘theirs’. They didn’t want me in it. So, every time I was out there doing something in it, they’d try to chase me out of it. They were promptly moved after this incident to the back of our property. 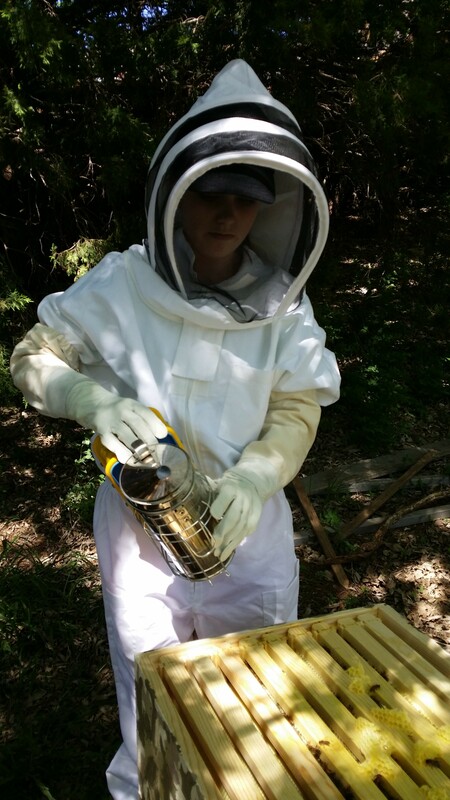 The second time I got stung, I was all suited up, but when I’d pull on my gloves, the sleeve of my beekeeping suit had exposed my wrist underneath the glove in a three inch section. While my gloves are leather, the sleeves of the gloves are made of thin linen. I didn’t even know my wrist was exposed until a worker bee stung me there. The entire hive was very ‘hot’ that day. Even with smoking them a lot, they really didn’t want me anywhere near the hive. My 14-year old twins, Ashley and Brianna, have both worked the hives with me on numerous occasions and been out in the yard when foragers were curiously checking out an empty hive box we’d set inside the garage, and they’ve never been stung. My husband has been stung multiple times from mowing in front of the hives in the middle of August without a beekeeping suit on (when their temper tends to be the worst), and although it would’ve only taken one time for that to happen to me before I would wear a suit mowing in front of the hives every time, it took him getting stung on a couple of different occasions before he finally started wearing one to mow by them. Does getting stung hurt? Yes, it hurts pretty bad. It hurts worse than a wasp sting, in my opinion. My reactions are very light swelling, a burning sensation, and getting extremely light headed and nauseous for some reason. But, it passes within about an hour, and then I’m better. For me, this has happened so rarely that most of the time I don’t even worry about getting stung anymore. For me, getting out to work with my bees is a huge stress reliever, and I really enjoy it. The happy buzzing of the bees and watching them each doing their own job in the hives is so relaxing to me. And, these times far outweigh the times of the year when they’re cranky. But, if you have a HUGE aversion to ever getting stung by a bee, you might want to think about whether or not the enjoyment you’ll get from the hobby is worth a sting every once in awhile. As long as you’re not allergic to bee stings, to me it’s 100% worth it. 6. Are you severely afraid of bees? I have a confession to make. When I was doing the planning to get my hives, I didn’t think much about whether or not I’d be afraid when working with my bees once I actually became a beekeeper. 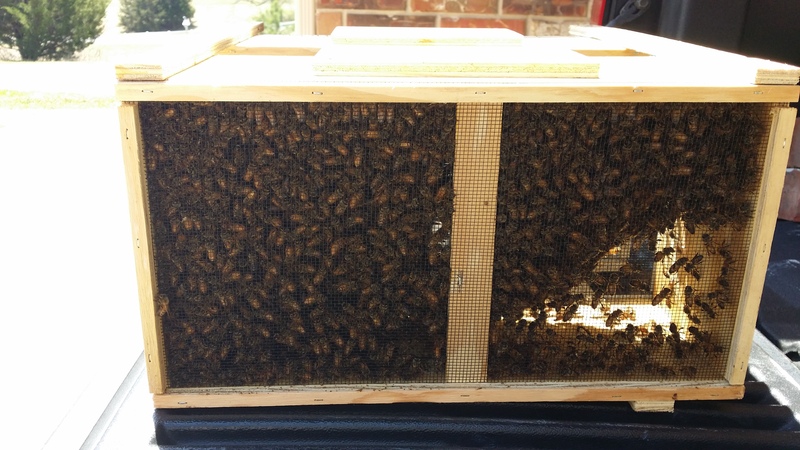 But, the first month I worked with our bees, I would get scared every time. I tried deep breathing. I smoked the heck out of the bees to calm them down. But, I still was so scared of getting stung. Then, gradually I figured out that 99% of the time, I had nothing to worry about. So, I got used to it and now I really enjoy working with the bees. 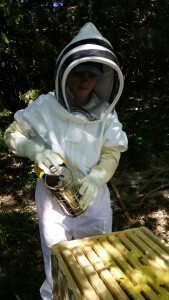 Beekeeping is not a cheap hobby. 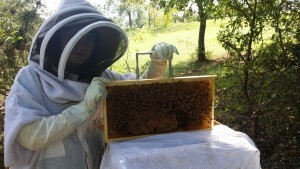 It typically costs $150 – $200 per hive to get going, plus another $100 – $125 dollars for bees to put into your hive. 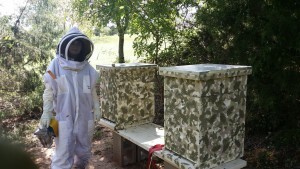 It is best if you have two hives so that you can swap frames or combine hives if you need to during the year. You might have one hive that builds comb faster than the other, so you might put some of their built out frames in your other hive. Or, you might have two hives sitting right next to each other, one full of bees packing in the honey by the gallons, and a lazy hive sitting right next to it that has almost no honey. 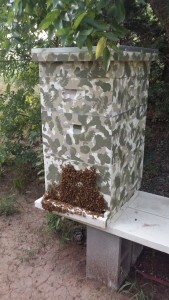 Having a second hive allows you to move some of those honey stores over to your lazy hive when Winter is approaching. So, it’s best to plan on about $600 in start-up costs for the hives and bees. You’ll spend another $150 on a good ventilated bee suit, and another $50 on hive tools. Then, you’ll have to feed your bees sugar water during most of the first season, so you might as well plan on another $75 worth of granulated sugar. And, just when you think you’ve got all of your costs under control, you’ll get a bee swarm call, so you’ll need to have an extra hive on hand just in case. I mean, who can turn down free bees unless it’s a space issue? Or, your queen will die, and you’ll have to plunk down another $25 to a local beekeeper to buy a queen bee from them. 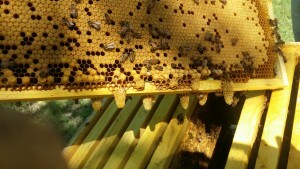 Or, the worst of all, your hive might swarm leaving you without any bees at all in your hive – this is a very real risk. Did you see me say above that you just spent $100-125 on bees to put in the hives? There is a running joke amongst beekeepers. It goes something like, “How do you make a million dollars being a beekeeper?…….Start with two million.” You CAN make money at this hobby, but it will take you at least a year or maybe two to get your hives established an profitable. Then, you can make money off selling honey, selling bees yourself, rearing and selling queen bees, making wax products like candles, soap, lip balm, or lotion, or you might even find that you enjoy building hives or hive stands from scratch to sell. But, you do need to be prepared that the cost of entry into this hobby is kind of pricey. 4. Do you really have time to take care of bees? The more hives you have, the more time it will require to maintain them. For two hives, I’d plan on spending about 30 minutes of maintenance on them every two weeks during the warm season, and little to no time during the winter, other than to re-paint and clean up old hive equipment. 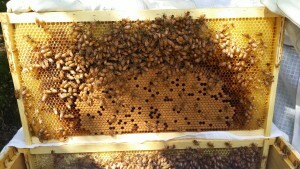 The time requirement of this hobby is way less than gardening until you get up into maintaining more than two hives. Then, you can add about 10-15 minutes per hive, plus drive time to your additional bee yards. You need to consider whether or not your hive locations will interfere with your family’s ability to just hang out in the yard and be left alone by the bees. Not everyone is going to be as fond of your new critters as you are, and if the hives are too close to your back yard where you grill out, play in the pool, or just hang out in a hammock, bees can be a nuisance. There are plenty of people in the city who have bees in small back yards or on rooftops of their buildings. The key is to screen around the hives so that it forces the bees to go up high into the air to get out of their hive area. They’ll stay at that height, for the most part, and head out to forage. But, there will still be some bees in your yard, so you just need to make sure the members of your family aren’t going to be annoyed or freaked out by their presence. 2. Can you easily lift 25-40 lbs without assistance? There are different kinds of hives setups that you can consider if you have trouble lifting this much weight. If that weight it not a big deal, then great. 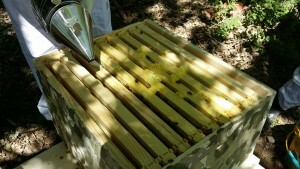 But, some people have back issues, and this is where getting a hive such as the top hive bar hive setup can be helpful. Top bar hives don’t have separate boxes that need to be stacked on top of each other, so their weight is limited to the space of the frames hanging in the hive. And, as the hive gets full of honey, you can start to rotate out some of the honey frames they won’t need for winter one frame at a time. 1. Are you able to be patient and remain calm when working in stressful situations or conditions? 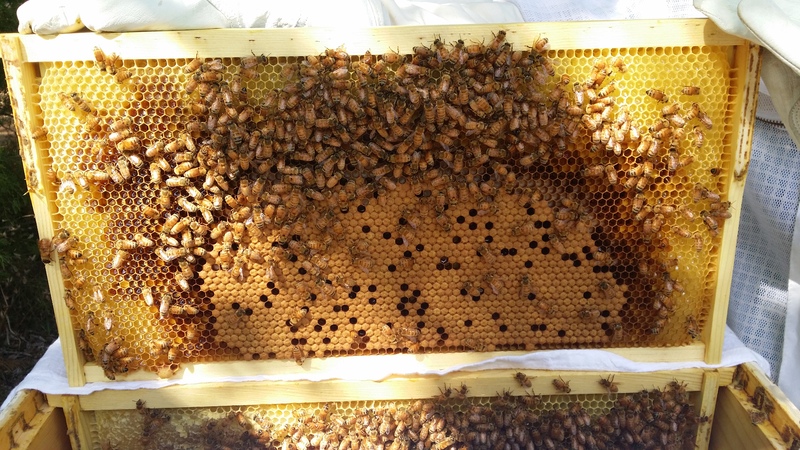 When the first dearth hit after I started out as a beekeeper, I found out that my bees had gone from being happy one day to cranky as all get out the next. This is where learning to detect the mood of your bees is really important, and it’s equally important to quickly adjust what you had planned in your hives for the day. You might need to come back at a different time of day when more of the bees are out foraging, or you might need to come back on a day when it’s not as cloudy, windy, cold, wet, or too close to dusk. The dearth is the period of time between mid-July and late August when the rains typically stop, and then the nectar flow dries up. The bees get very protective of their hives during this time. 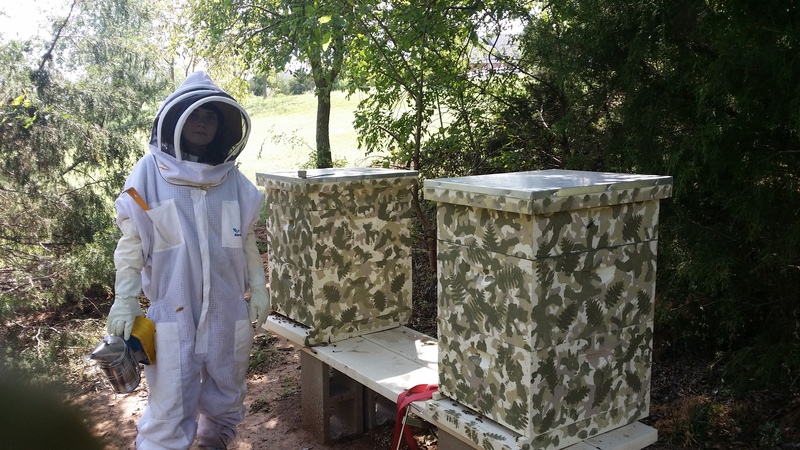 My first experience with being in a very stressful situation at one of our hive locations involved me being covered from my veil to my waistline with bees trying to convince me to close up the hive and walk away, and it all happened in about 5 minutes. This was partially my fault because I hadn’t used enough smoke, but I’ve had this experience during other dearths as well. I still get scared when this happens, but I remain calm and start smoking the bees on my suit and brush them off with my bee brush. When they are this ‘hot’, I’ve learned to close up the lid and leave them alone BEFORE I am covered in bees. Surprisingly, every time this has happened, I haven’t gotten stung. But, this is because I was covered up with protective gear, moved slowly, and patiently waited for them to settle back down before removing my protective gear or getting back into my vehicle. 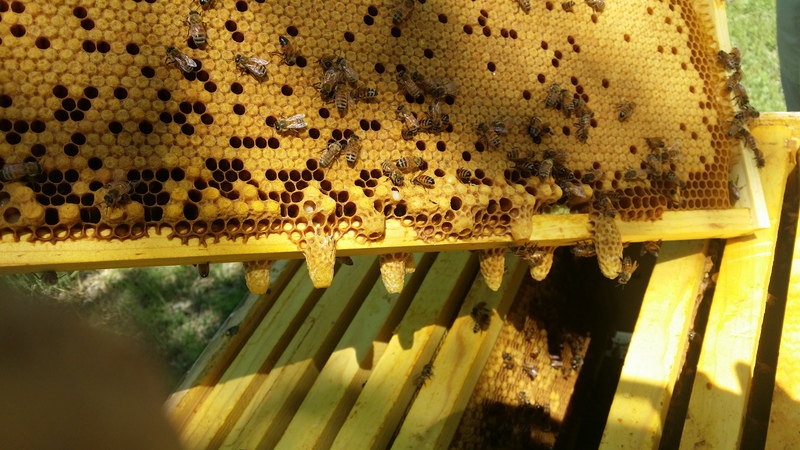 When this happens, I’ve learned to move slowly and patiently, to close the hive back up, and either move on to the next hive or start making my way back to my vehicle, which I usually leave parked at least 200 feet away from the hive. Sometimes I’ll have to wait for 30 minutes for the bees to return to their hive and leave me alone. But, this is where being patient is necessary. If you freak out in high-stress situations like this, beekeeping might not be for you. At some point, this WILL happen to you, so you need have the capability to remain calm so that you don’t get stung.